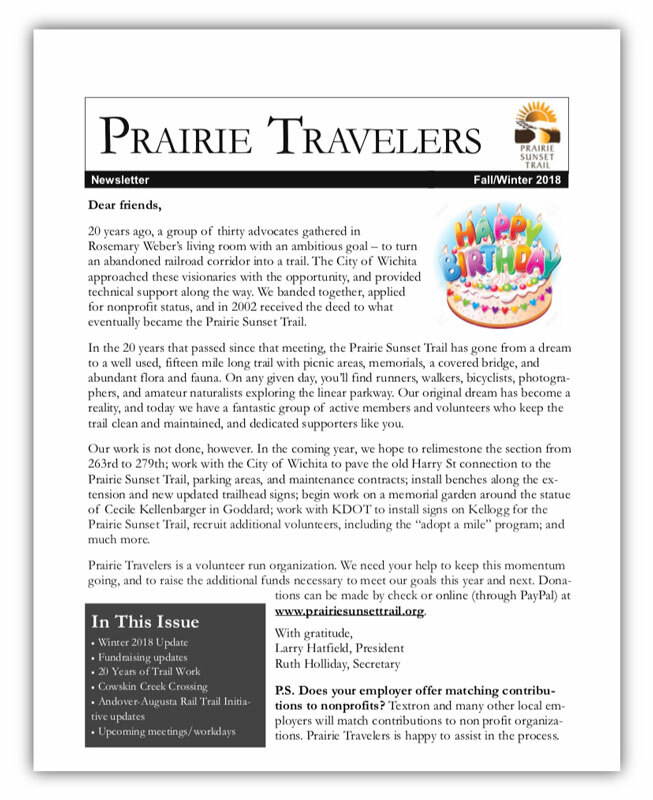 Read about our 20 years of trail work in this issue and what’s next for the Prairie Sunset Trail in 2019 and beyond. One of our latest projects was the paving and maintenance of the railroad tressel. 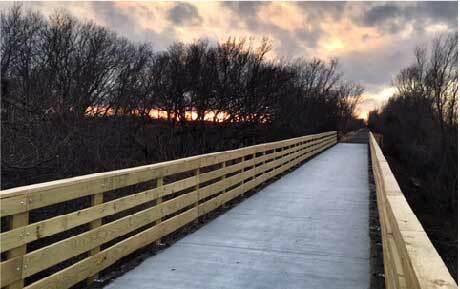 We were able to complete the project in just two work days and are very grateful to our trail manager John Moore and the Geezers who worked non-stop until it was completed.